** NOTE: below is the list of hotels from our 2013 program. The 2014 hotels have not been finalized yet. 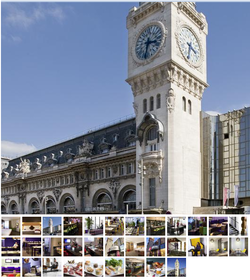 Hotel Mercure Paris Gare De Lyon is right next to train and Metro connections at the Gare de Lyon. It has rooms with free Wi-Fi, bottle of water and tea and coffee-making facilities. The air-conditioned rooms are light and spacious and have a flat-screen TV with satellite channels. Private bathrooms have a hairdryer and free toiletries. A work area with free Wi-Fi, printers and refreshments is available. The Botanic Gardens are a 10-minute walk from the hotel. The staff is available 24 hours a day and the hotel has a ticket service. 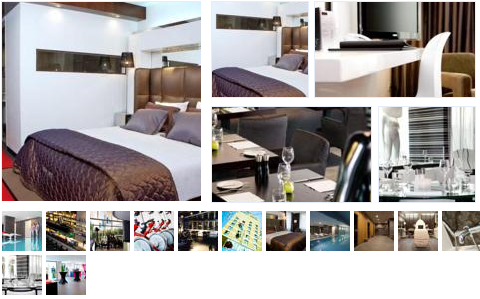 The trendy WestCord Fashion Hotel Amsterdam is across from the World Fashion Center, in the south west of Amsterdam. 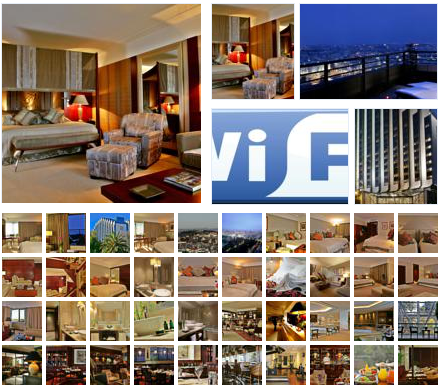 It is a short walk from public transportation services and offers free Wi-Fi. The hotel offers luxurious designer rooms with trendy décor and private bathrooms with a bathtub/shower. Free tea and coffee facilities are provided in each room. The WestCord Fashion features an indoor swimming pool and a modern gym equipped with cardio equipment and free weights. There is also a relaxing sauna available for an extra charge. A 10 minute tram ride will take guests to the center of the city. Just a 5 minute walk from the Kurfürstendamm shopping street, this Hampton by Hilton hotel in Berlin's Charlottenburg district offers air-conditioned rooms, free Wi-Fi and free use of the modern gym. Every room at the Hampton by Hilton Berlin City West features a flat-screen TV, tea/coffee facilities, and a bathroom with glass shower. Many rooms have a terrace overlooking the city. 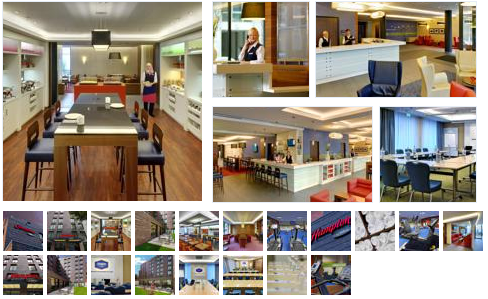 The Hilton Berlin City West’s 24-hour business area features a library, 3 internet terminals and a printer which can be used free of charge. Uhlandstraße Underground Station is just a quarter mile from the Hampton by Hilton. Trains run to the famous KaDeWe department store in 3 minutes. The Residència Erasmus is in Barcelona's lively Gràcia district. It offers affordable rooms with free internet and a modern private bathroom. Diagonal Avenue is a 15 minute walk away. A buffet breakfast is served, including toast, cereals, cheese, jams and fruit juices. Residència Erasmus Gracia also has vending machines, and guests can find bars and restaurants within a short walk. Residència Erasmus is in a historic building and features a garden, lounge area with a TV and a dining area with a fridge and microwave. A luggage storage service is provided and laundry facilities and parking are available upon request. The residence is just a 15 minute walk from Gaudi’s famous Park Guell, with many interesting architectural elements. Lesseps Metro Station is just 220 yards away. 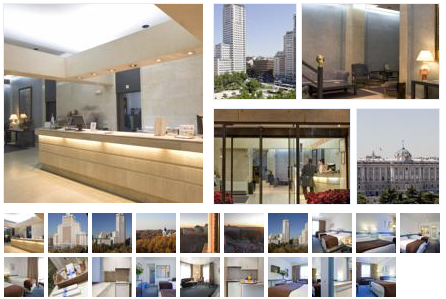 Espahotel Plaza de España overlooks Madrid’s famous Plaza de España, a 5-minute walk from the Royal Palace. It offers studio apartments with a kitchen, satellite TV and Wi-Fi connection. 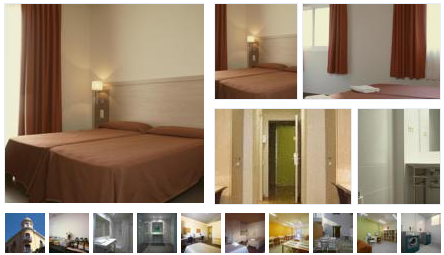 All studios at the Hotel Plaza de España are equipped with air conditioning. They also have a kitchen with a stove top and a microwave. The Plaza de España Hotel is very well-connected to the rest of Madrid, with Plaza de España Metro Station located just 55 yards away. It is a 5-minute Metro trip to Puerta del Sol, or 10 minutes to the Prado Museum. Centrally located, this deluxe 5 star hotel has features elegant and spacious guest rooms decorated in a classical style with satellite TV. Many rooms feature panoramic city views. The Dom Pedro Palace is less than half a mile from the nearest Metro station and is just across the street from one of the largest shopping centers in Lisbon, the Amoreiras shopping center. The lively Docas area of the city and the historic district are approximately 10 minutes away. The Dom Pedro Palace’s Spa has a full range of spa facilities including an indoor swimming pool, hot tub, steam bath, sauna and cardio-fitness room. There are also 5 treatment rooms where guests can enjoy a range of massages and therapies. The hotel also features an Italian restaurant, where guests can dine on the terrace and a cafe-style bistro open throughout the day which serves Portuguese and international cuisine. Accommodations are included in the program prices. SGE understands that comfortable, safe and centrally-located accommodations are an important part of your study abroad experience, so we only stay in hotels and apartments in desirable locations. On this page there is a list of hotels currently planned for the upcoming Summer program.